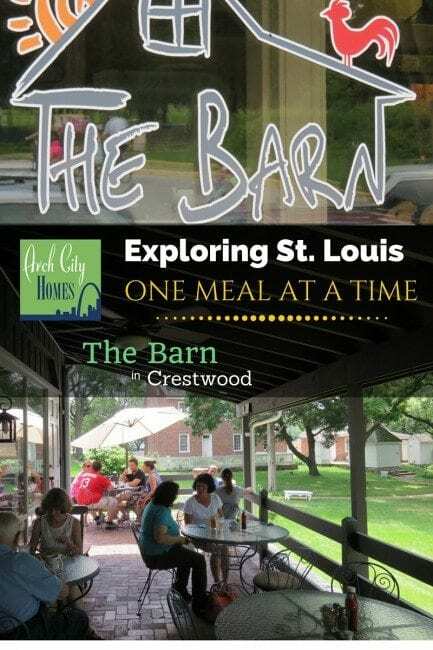 As I continue my Exploring St. Louis One Meal at a Time series, today I’m sharing my breakfast experience at The Barn in Crestwood. I am a big fan of restaurant breakfasts, and am always in search of new places to try. 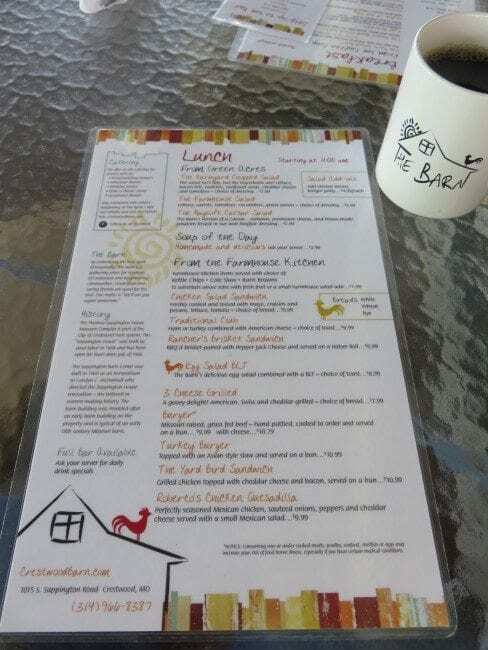 Earlier this summer, I stumbled on The Barn when I was looking for someplace new for breakfast with my friend Michelle. 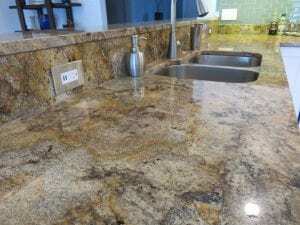 I meant to share the experience here right away, but got busy with selling homes and posting these pictures got pushed to the back burner. I went back again last weekend and liked it just as much the second time around. 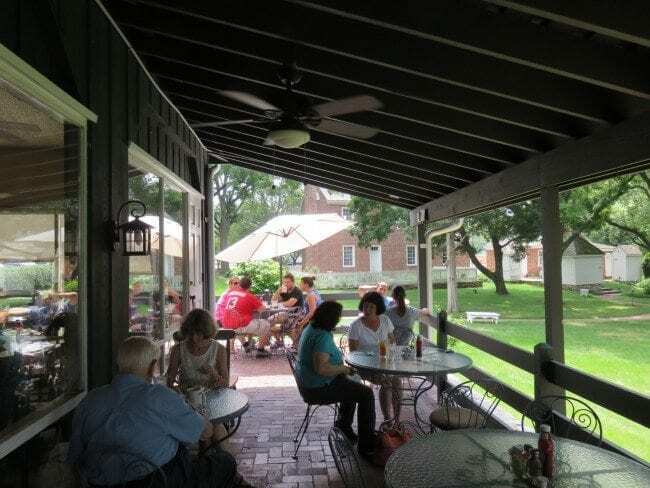 Before The Barn shuts down their summer Yappy Hours for the season, I hope to get back to try out the weekly dog-friendly happy hours held each Wednesday from 4-7 pm too. The Barn is normally open just for breakfast and lunch. Both of my visits were on a weekend morning around 10 or 10:30 AM. I’m not sure if my experience was typical, but when I went on a Saturday we got seated right away while we had a short wait for the Sunday visit. Both times we were lucky enough to be seated on the patio. 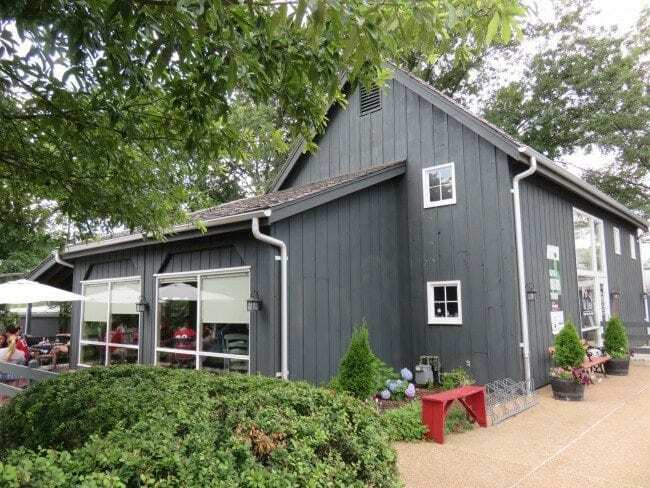 The restaurant is part of the Sappington House complex that history buffs will enjoy. 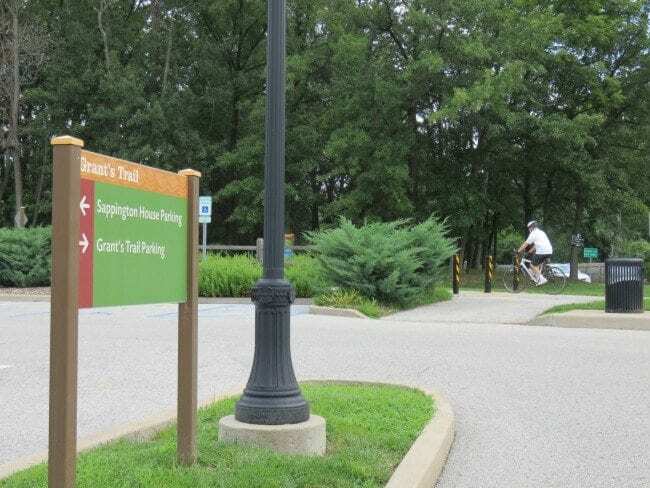 The Thomas Sappington House Museum Complex is part of the City of Crestwood Park system. 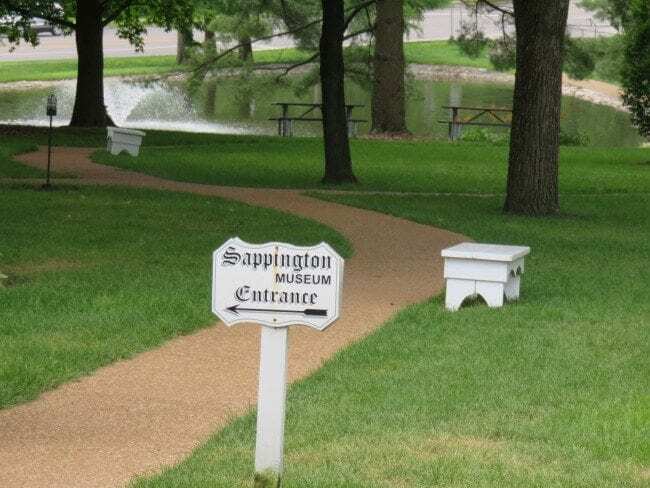 The “Sappington House” was built by slave labor in 1808 and was restored co-operatively by the City of Crestwood, the St. Louis County Department of Parks and Recreation, the St. Louis County Historical Buildings Commission and the Sappington House Restoration Committee. 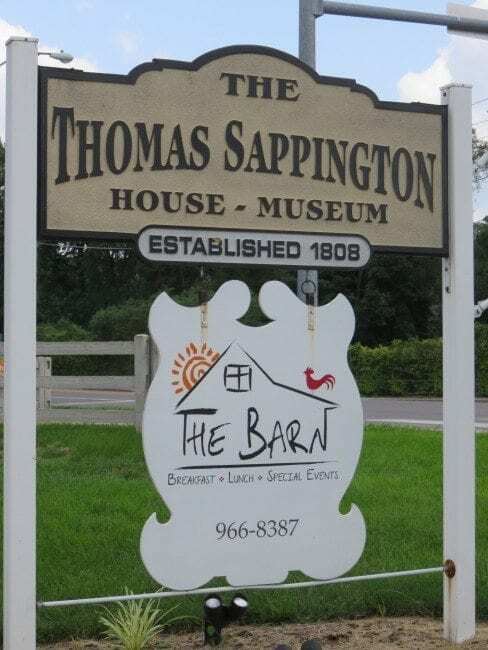 The Sappington House has been open for tours since July of 1966.The Sappington Barn Center was built in 1969 as an honorarium to Carolyn C. McDonnell who directed the Sappington House renovation – she believed in women making history. The barn building was modeled after an early barn building on the property and is typical of an early 19th century Missouri barn. 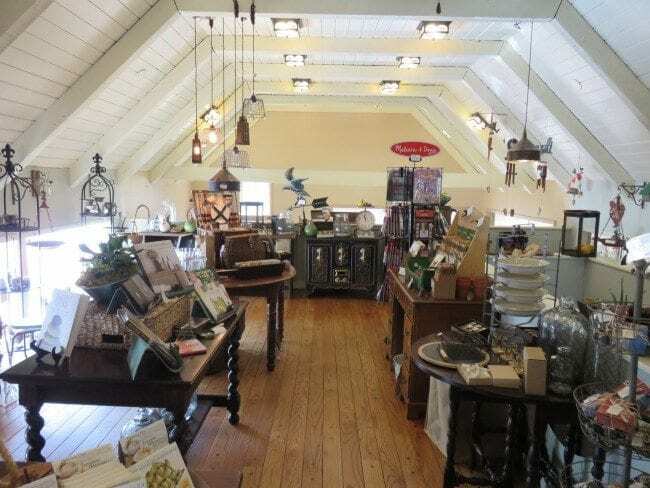 Along with a visit to The Barn, enjoy a stroll around the lake or hop on Grant’s Trail from the same parking lot. 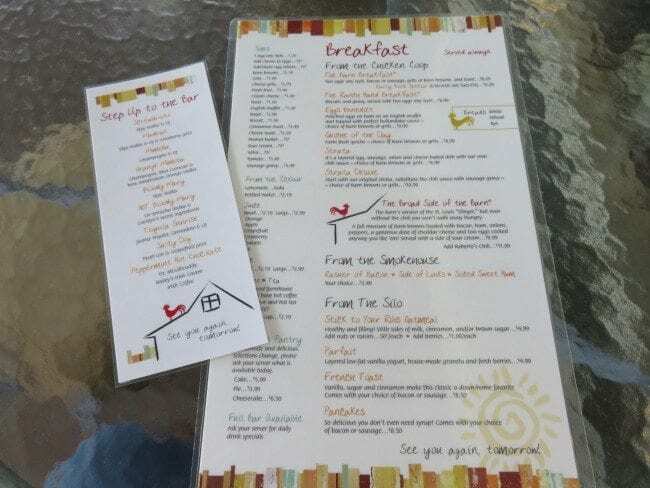 Breakfast and cocktails are served all day at The Barn, and lunch service starts at 11 AM. 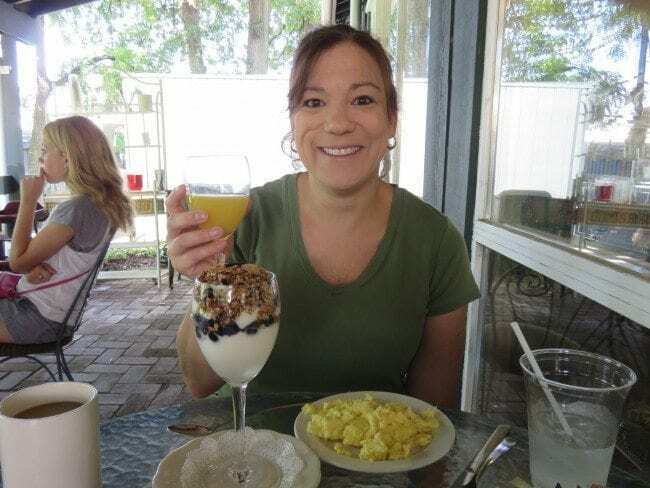 Michelle ordered a parfait (yogurt, house made granola and berries) and eggs. And the very important mimosa. 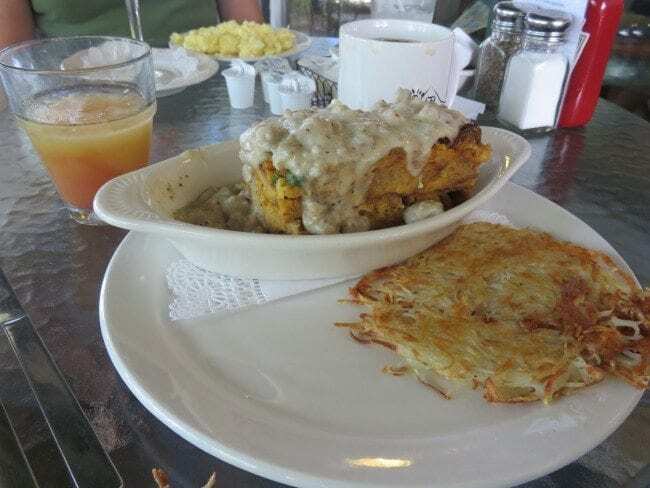 I ordered the strata deluxe which comes covered in the sausage filled gravy. The strata is served with shredded style hash browns…just the way I like them. The Yelp reviews weren’t wrong…this breakfast dish is wonderful. I tried a new breakfast cocktail too. My madras (vodka, OJ and cranberry juice) was definitely a nice change from a mimosa since I’m not a big fan of champagne. 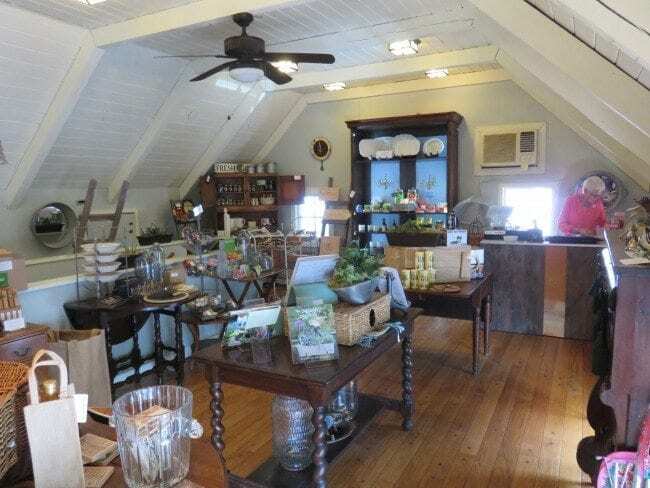 Upstairs in the loft, the restaurant has a small shop filled with fun things for your home. 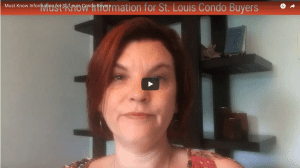 Crestwood is a great place to buy a home in St. Louis. 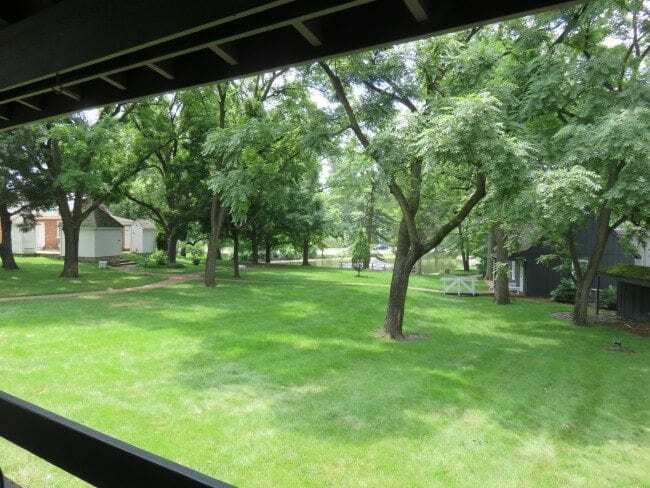 Filled with homes primarily built in the 1950s and 1960s, the typical Crestwood home is a brick ranch with 2-3 bedrooms and 1.5-2.5 bathrooms. 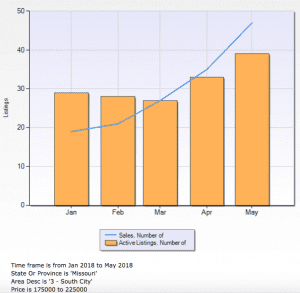 The majority of these Crestwood homes sell between $100,000 – $200,000. 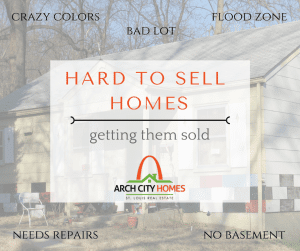 You can also find an occasional 2 story home built more recently, but you’ll end up spending between $300,000 – $525,000 to purchase one of these homes. Apartment dwellers who want to buy a condo rather than continuing to rent have just a couple of complexes to choose from but can easily become a homeowner for under $100,000. Not only do you find stable neighborhoods with affordable homes in Crestwood, but you also get great public schools. Lindbergh School District is one of the top rated districts in the St. Louis region, and it’s hard to find better public schools without having to spend a lot more on your home. Crestwood has a municipal community center with a fitness center, and operates an aquatic center with multiple swimming pools. The city contains 6 local parks plus residents have access to Kitun Dog Park, a joint venture with Sunset Hills. 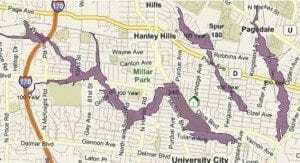 Grant’s Farm is located in the city of Crestwood, and portions of Grant’s Trail run through the city. 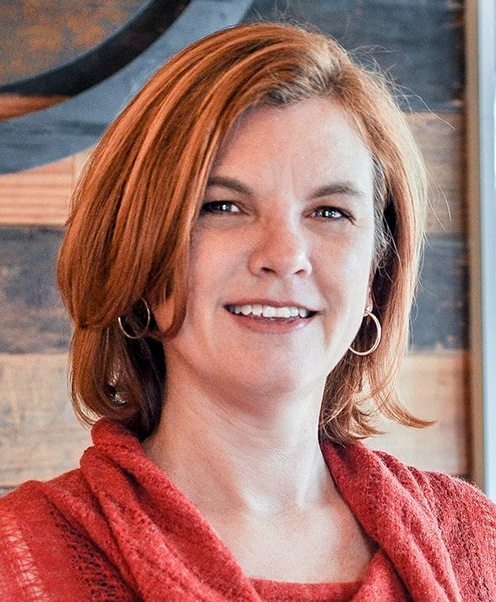 Visit the Circa Properties website to learn more about the people who live in Crestwood. 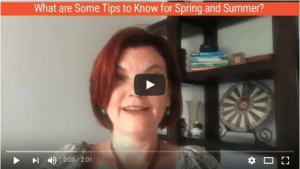 Then contact me to get set up with a home search to see everything for sale in Crestwood as soon as it comes on the market.